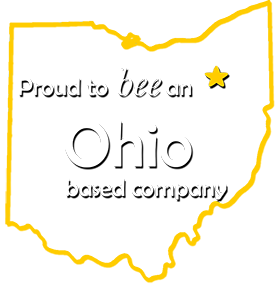 North Canton, OH, June 22, 2017 --(PR.com)-- honeybeeBase.com, a web app service that provides an all in one management solution for businesses, announces the launch of its professional package. The family-owned company has used its own experience as multi-location business owners to refine the necessary tools needed for effective team management. This package solves the problem that a lot of businesses have in communicating, training and holding their employees accountable. Communication log: This module acts as an open forum to allow employees to keep up to date with each other. It is a necessary toll for communicating between shifts or locations. Counseling reports: A tool that allows for the creation of templates for disciplinary action to ensure consistency and maintain written records. Quizzes: Create fun and informative quizzes that can be assigned to individuals or groups and help you keep track of results with printable certificates. Medals: These can be given to employees to recognize hard work and provide a more encouraging team environment. File Sharing: This allow you to easily share important documents with your team. Customizable access will help you control who can upload, edit and view each individually. The honeybeeBase Professional Package is available as a monthly subscription or a discounted one-time yearly purchase and includes a 28-day free trial. About honeybeeBase: honeybeeBase.com was developed by a family-owned, multi-location business that wanted an all-encompassing business management web app. Their goal was a simple, efficient solution for: employee communications, training, human resources, counseling reports, time clock management, payroll, vacation, paid time off, and more. As the family talked with other local businesses in their Northeast Ohio region, it became obvious that the all-in-one solution they had built was still not available in the market place. After seeing the success and simplicity their web app provided them in house, the family set out to assist other company leaders to simplify their businesses. honeybeeBase is available to use on any device with an internet connection and web browser including mobile devices.